Guide books are great, but travelers increasingly want to go where the locals hang out. This is what Hometown Tourist is about. 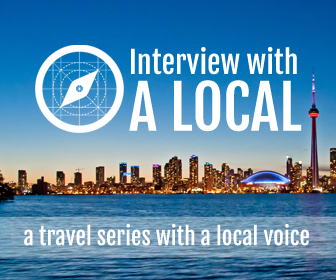 We are not about reviews; it’s about contributors sharing their favorite local hot spots. It is about recommendations! Hometown Tourist is always on the look out for bloggers and freelance writers who can provide original, fun and interesting content about their hometown and its recommended attractions. Tell us where the locals hang out. What are the best locally owned restaurants? The best attractions? The most unusual attraction? Best shopping? Why should we go? When’s the best time to visit? We have an easy online form that you complete and submit, assuring that all of the information we’ll need for your mini destination guide is received. If your content is a success, we may offer you the chance to become a regular contributor. We are particularly interested in working with people who have an established blog, engaged audience, and social media presence. What type of bloggers are we looking for? We are interested in working with influential bloggers who are active in social media, and who will promote their Hometown Tourist blog posts and venue recommendations. If you would like to share your favorite spots, the best tourist attractions in your city, get in touch with us. We’d love to hear from you. Please use the form below to tell us about your brand or business. Use the Blogger’s Pitch Message section to tell us about why you’re a good fit for Hometown Tourist. 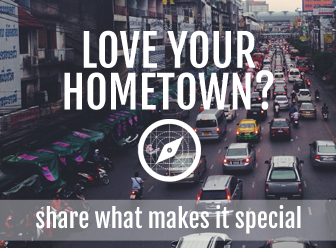 PLEASE tells us why you'd make a great Hometown Tourist.